Over the past weeks, I’ve seen a veritable cornucopia of market research, studies, and reports on online video. Now, if I had the time, then I might create a bi-weekly or semi-monthly chart that measures the number of strategic insights per fortnight that video marketers can harvest from this overflowing abundance of critical data. But, all of us are too busy to wait for that to happen. So, let me share a few trends that I’ve spotted in the latest market research, studies, and reports on video. Ascend2 conducts a monthly research series, and its most recent Video Marketing Strategy survey was conducted online and had 280 respondents, who are US and international marketing, sales and business professionals representing a range of demographic roles, channels and company sizes. According to the report, the most important objective of an effective video marketing strategy is to increase brand awareness. Other key objectives include: Increase online engagement, improve customer education, and increase leads generated. 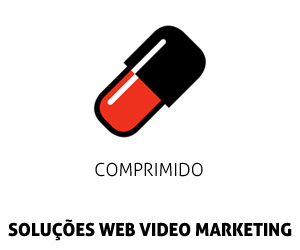 However, video marketing is rated as very successful at achieving these important objectives by only 25% of companies. Another 60% rate video marketing as somewhat successful. That’s 85% of companies that found value in use video marketing as a strategy. The remaining 15% are struggling to achieve success with video marketing. What are the most challenging obstacles to video marketing success? According to Ascend2, lack of an effective strategy is the most challenging obstacle to video marketing success according to 48% of those surveyed. Other challenging obstacles include: Lack of compelling content, inadequate video budget, and lack of production resources. About half of the marketers surveyed consider customer testimonials, explainer or tutorial videos, and demonstration videos the most effective types of video content used. However, they were also asked, “What are the most difficult types of video content to create?” Customer testimonials and project reviews/case studies topped that chart. The research compared the most effective types of video content with the most difficult to create. It found that explainer or tutorial videos, and demonstration videos are nearly twice as effective as they are difficult to create. On the other hand, project reviews or case studies are much more difficult to create than they are effective. Fortunately, video marketing effectiveness is increasing for 87% of respondents, with 43% saying the increase is significant. And even though 69% of respondents say their video marketing budgets are increasing, 51% say it is increasing marginally. Only 18% say it is increasing significantly. There are other findings in Ascend2’s survey summary report, which you can download for free. But these are the ones that I thought should make the highlight reel. Meanwhile, on the paid side of the online video market, Strata’s 2nd Quarter Agency Forecast Survey found 46% of ad agencies are “still undecided” about whether they trust programmatic buying to properly and accurately execute their ad orders. Despite these trust issues, the number of agencies intending to use programmatic buying for 20-40% of their ad buying has increased by 244% since the 1st Quarter. Strata’s survey asked agencies: “What do you see as the potential benefit of programmatic buying?” Even though respondents could choose all that apply, only 27% said improved audience targeting, 26% said improved buying efficiency, and 20% said improved campaign insights. Agencies were also asked, “What are your greatest fears associated with programmatic buying?” And even though respondents could choose all that apply, only 30% said inventory transparency, 28% said quality of inventory, and 18% said not enough education. At the same time, Integral Ad Science’s Q2 2015 Media Quality Report found overall video viewability was just 37.2%. This is even lower than overall display viewability, with is 44.0%, indicating that the industry has been slow to improve viewability rates despite increasing pressure from advertisers. Integral processes hundreds of billions of impressions quarterly and is thus able to analyze the industry on a broad and representative level, across multiple media quality metrics. So, it’s hard to sweep their findings under the rug. In our rush to get where we’re going, we’re leaving a lot of our colleagues and clients feeling that they’ve been left behind to wrestle with their Fear, Uncertainty, and Doubt (FUD). That’s not good for the online video industry long-term. Heck, it may not be good for us short-term. So, each of us needs to set aside some time each week to bring our colleagues and clients up to speed on the best practices and latest tips as well as an analysis of the most recent trends in the digital video marketing business. Heck, it can be as simple as holding a brown bag lunch every other Friday. A healthy discussion of the opportunities and threats should enable you to secure the budget to test things without fear of failure. Obviously, we’re here to help you in this process. Let us know in the comments section below if there are new ways or resources that we can provide to help you to tackle this added responsibility.